Writing a blog entry is easy once you get used to it. But what about your first ever blog post title? How to start writing your introductory post on your blog for the first time? There is no easy way to say “just write what you feel” for your what to write for your first blog post entry question. But there are some tips that can help you to write a good copy. Instead of writing what comes to your head or what you keep doing all day, think and plan it. What is your blog entry going to be about, how are you going make it stand out? P.S: If you are writing a blog just to put your personal stuff online and don’t care if anyone reads it or not, you don’t need to read this post at all! But if creating a strong blog audience is one of your goals and you have a flair for writing, keep reading. I have the best tips for you. Keep in mind that these are my tips and not of anyone else. These are what I keep in mind when I write. It varies from person to person, so don’t just believe in what I say until you read it completely. Let’s get started with the ten introductory tips on how to make a blog post. Passion is the key to blogging. Without any interest in writing, you cannot write more than 5 to 6 lines of content. The first thing to do while planning to start a blog is, Find your passion! Think about how you want the blog to be, what it should be about and who your audience are. Most important of all, you must be willing to write it all yourself. No one can do it for you. So think for a moment, if you can write. If you can’t, there is no point in blogging at all. Audience are the key to any businesses or blogs success. Without the right audience, there is no growth. Writing a private blog just for yourself? No issues (You don’t need to read this article)! But why not let your voice be heard? Let others know about your thoughts and opinions. If you are investing time and effort in something, you shouldn’t let it go waste. Make sure you have a set of people whom you want to involve in the thought process. Find the ones who can add value to your opinions. Be it family, friends, colleagues or business leads, everyone can make an impact. Choose whom you want to write for and make sure you reach their mind with the right topics. Try to involve them. Ask them for feedback and suggestions. Pro Tip: Never write for the sake of search engines and to get traffic. They can’t give you opinions, replies or encourage you in real life. SEO is very important for blogs and websites but writing for your audience is the most important of them all. Did you ever eat a half cooked meal? You can’t right! The same applies to content as well. A well researched content is what it takes to win readers hearts. A half researched article is as useless as a half cooked meal. Make sure you read the opinions of others in your industry. Learn how they blog and what style they follow. Find the pros and cons about what you are about to write. Unless you are sure about the topic, don’t start writing for introductory post. Find out what’s trending on search and what’s hot on social media these days. Try to improve upon those ideas. Pro Tip: Use Google Trends to find what people are searching in your niche. You have the trending topics for Facebook and Twitter as well. Many blogs exist for the sole purpose of ‘making money online’. Yes, that’s a trendy tagline they use. Out of hundreds of these blogs, only a handful of them are helpful. The reason? They don’t just blog for money. Sure, you can make money out of blogging but don’t make it as your sole purpose of blogging. Instead get creative, experiment and try to bring out the best in your niche. After all, every niche has an expert blogger already ? NEVER copy content from other blogs or websites to fill yours. If you can’t create content, stop blogging completely or hire a writer to write on your behalf. Copying content (Plagiarism) is an offense and is an easy way to get sued by powerful people out there. Try to make your content stand out. Keep it unique and interesting. Don’t bore people with stuff they don’t understand. Make sure it is even liked by other bloggers. 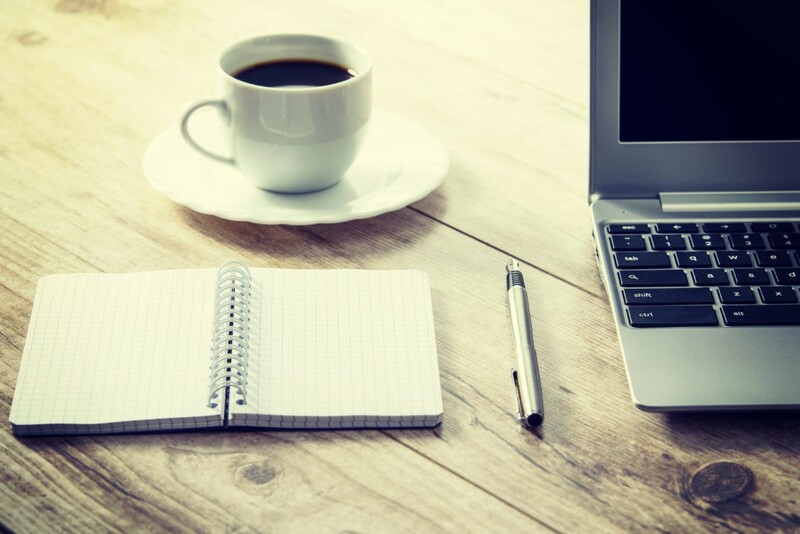 You can always take a break, have a cup of coffee and come back at blogging. That’s the beauty of it! This is one big mistake everyone ignores. You may be out of the U.S or U.K with an awesome grip on English but not everyone visiting your blog is. A Blog gets visitors from all around the world and not just plain English speaking countries. If you put all your good grammar to use, chances are that no one is going to read your blog. The reason? They don’t understand it! Keep your advanced communication and grammar skills to yourself. No one from Oxford or Cambridge is going to judge you. Also you are not going to get any Nobel prize in literature. Make your content simple and plain. Easy enough for any one from any place (Even some remote island) in the world to understand. You’ll eventually end up driving away visitors if you use tough English. So keep it simple and easy to understand. Many a times people find it hard understanding the impeccable English used by a few bloggers. Your blog is all about YOU. No one else can come into your territory to express their opinions and to show off their stuff. Sure, you can ask them to put forward their opinions in the comments but not in the content. The reason i’m saying this is that there are lots of “paid content/reviews” these days. You don’t actually use a product but say it the best value for money. You never purchased and online service but you write that its the best out there. So much and so forth. Stop doing that. Your blog is a place for your opinions only. So keep it truthful and add a personal touch. If you are short of ideas, go to Facebook. No really! I am serious ? Social networks are nothing short of time killers or I must say life killers. People just keep posting new stuff and fake stuff every now and then by wasting time. Sometimes you can get new ideas from these posts. When something of your interest has been posted, try to make it better and create a post out of it. There is a trending feature on every social network. Make use of it and write what suits you out of those topics. Then you have the advantage of adding to something trending to your blog and get more visitors. Friends are usually the ones who help us in our most difficult times. The same goes with blogging. If you have friends who are bloggers, ask them what they would like to see from you. Ask them what they like from a fellow blogger. If not them, you can ask your audience (Social Community, Groups etc) what they’d love from you. Chances are they’d suggest what you’ve missed or how you can improve your writing style. So it’s a mutual benefit, isn’t it? This is the golden rule to write your first copy. You are writing your first copy! Make it appealing. Unless you are able to convince your readers that your blog is useful to them, you can’t win their hearts. They must find something of value that they did not find in other blogs like content with yours. So try to have an edge than the others. Make it more interesting and well researched. These are the ten golden rules to write your first blog post. Try to follow at least a few of them if not all. These are not tough to follow, try to make them a habit. You can’t write about nuclear physics if you are a lawyer right? So make sure you are about to write what you can really improve upon. Just to recap-“Make your content clear, well researched, original and what suits you the most”. Have something to add to these tips? Would like to give some feedback or get in touch? Use the comment box or my contact page.